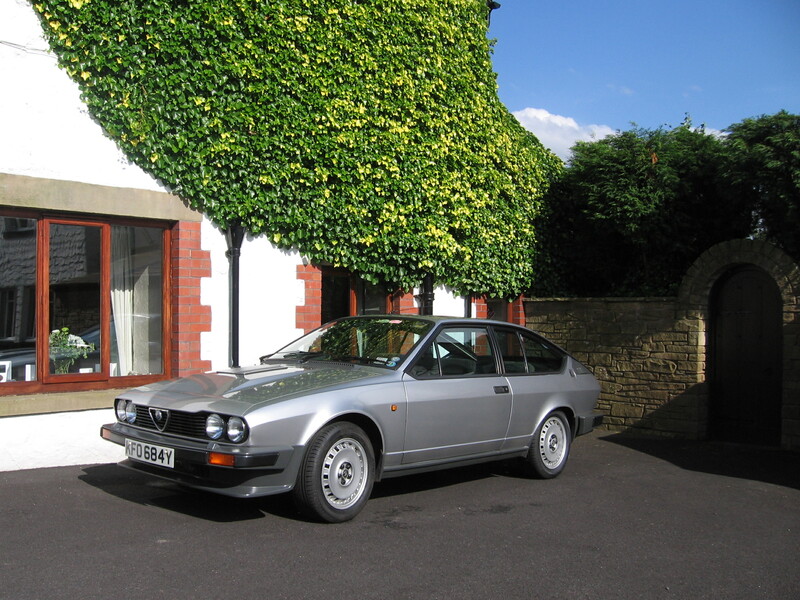 A lovely GTV6 with excellent history file dating back to 1985 and a single Alfa enthusiast owner since 1987! I have known of this car for a number of years and took the opportunity to purchase her as soon as I knew she was available. Although well used, as shown by the 115k miles she has covered, the owner was meticulous in his maintenance. She has never needed or been restored, indeed at the time of our purchase much of the car was still wearing its orginal paint. Instead she as been reglarly used and looked after including annual cavity rust protection throughout the last ownership. She has never had the sills or floors welded as she has always been garaged and never driven on salty roads. 1. Full exterior strip down of all trim, lights, sunroof & front & rear screen removal. 2. Repair of localised areas of rust with new metal (a full photo record of this work will be supplied with the car). 3. Full repaint in the original colour. 4. Cavity waxing of all internal sections of body & chassis using Dinitrol 3125. 5. Full under body anti rust treatment using a wax based sealer. However, at this stage we can easily cater to any special requests or modifications you may wish for. Please contact us with your requirements and we can price accordingly.